How A Former Telecom Exec Is Building An Education Army. 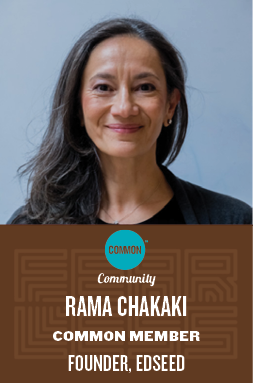 By Rama Chakaki, Founder of edSeed. Edited by Julia Dopp. After 10 years in telecom and software development, I felt a calling to serve. It was becoming increasingly difficult to get motivated by money alone, and I had become a chief operating officer of a global company; I couldn’t see what upward career move would make it better. I was living in Dubai, a place known for a glitzy, glamorous, luxury lifestyle– not for its social impact or environmental consciousness. I volunteered with youth causes, climbed a mountain, ran a 10k and learned to scuba to fundraise for nonprofits. In 2005, I setup the first social impact incubator in the Middle East, in Dubai, and invested in 23 companies and initiatives in education, environmental management and IT. The work my partner and I did was impactful and fun; it was simply awesome! Among other amazing things we taught kids about environmental conservation underwater! In 2011, I met Khalil Jadili, a young Palestinian man from Gaza, who had lost both of his legs in the 2010 Israeli attack on Gaza. Khalil’s 8-year-old brother was killed in the attack, and Khalil and his other younger brother, Abdulhadi, were seriously injured. Khalil came to Dubai to get fitted for prosthetic limbs; I was on the board of the Medical charity that supported him and I had a vision for telling powerful stories to change perceptions of young people like him. Khalil enjoyed swimming and football, and as the latter wasn’t an option we offered him scuba diving training as part of his rehabilitation. That training would get him in the water, give him the ability to do something beyond what anyone in Gaza or the Middle East had done, and hopefully raise his confidence and spirits. I built a team of volunteers, photographers, journalists, bloggers, a filmmaker and scuba instructors around him. Within weeks, Khalil received his certification, and stories about him turned up across traditional and social media. Khalil’s story and strong image inspired thousands to volunteer, donate and changed perception of disability in the Arab world. The media helped Khalil, his family and hundreds of other youth impacted by conflict. Inspired by the response to Khalil’s story and others like him, a year later, I set up BarakaBits.com a publishing platform telling positive stories from the Middle East. I had always believed in the power of storytelling; and after seeing the Middle East and global media deliver a stream of negative, demoting stories –while ignoring any positive, inspiring messages –I felt such a platform was needed. Over the years that I ran BarakaBits we engaged Arab youth in the millions, in reading, writing and sharing our stories. We received messages from readers across the world, thanking us for sharing uplifting stories and providing a narrative that was largely missing from mainstream media. We told stories about youth Parkouring in Gaza, and activists changing minds through comedy and music. BarakaBits’ success in the Middle East compelled me to move to LA, where I could learn from media giants how to continue that success on a larger scale. After all, for every story we covered on BarakaBits there were thousands that weren’t being covered. And for every Khaili we supported, a million others could benefit from the visibility. I launched the VIP.fund, a nonprofit supporting youth in conflict areas. My partner, Brian David and I ran media programs and launched several BarakaBits platforms with youth from Palestine and Syria. The VoxVisio project continues to grow. When the war in Syria broke out, over 9,000,000 Syrians were displaced. 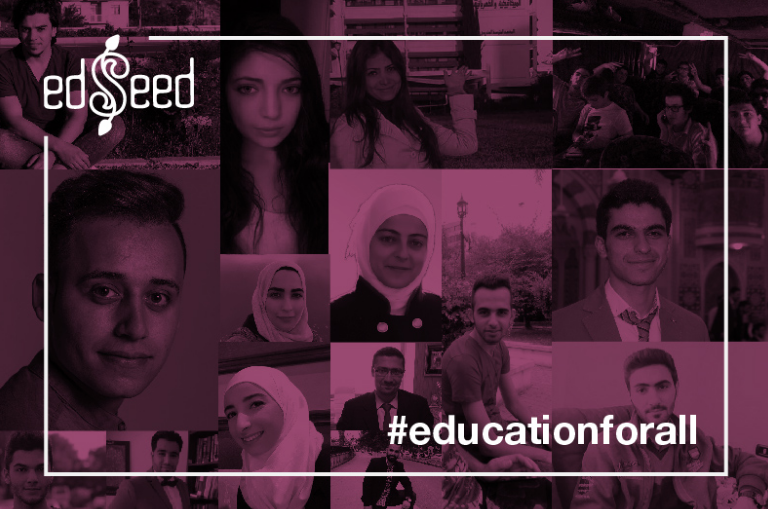 among them were 450,000 university students who had access to free education in Syria, and now found themselves unable to continue in host countries where education was expensive, and in some cases unavailable to Syrians. Aside from the 450,000 university students, there were 5,000,000 Syrian youth in K-12. When I researched further, I found out that less than 1% of refugee youth have access to higher education funding. These young men and women are the backbone of their society. With an education, they gain financial independence and support themselves and their communities. Without it, they settle for $2- per-day jobs, the only ones available to them in host countries. In this position they can’t help their families get out of poverty. In many cases, they become vulnerable to radical recruitment. Everyone I spoke to in the USA realized the lack of access to education among youth impacted by conflict has an impact on world Peace. I spoke about it in my tedxBeaconstreet talk and got good feedback and encouragement to start. 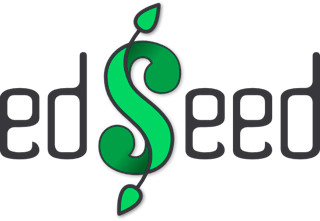 So, to address this issue, we launched edSeed in 2016, a storytelling, campaigning and crowdfunding platform. The platform brings stories of youth from conflict zones and encourages donors from the USA to support their journey by funding their education. Today, I’m on a mission to raise funds for 6,000 refugee youth through edSeed, and in the process, bring their stories to mainstream US media. To do that, I need an army of volunteers, creatives, people willing to learn about the amazing young people we support and how together, donors and students can change the world! As Mr. Mandela said, “Education is the most powerful weapon which you can use to change the world.”So I am building an education army.